Enjoy every moment of the holiday here at the Taj mahal and best beaches of goa ( both north & south goa ). 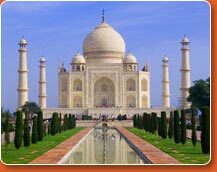 In 13 days tours start from Delhi and covers jaipur & agra as well. Experiece one of best attractions of the itinerary which covers "UNESCO world heritage sites", unique shopping and cusine experiece along with luxury hospitality with language tour guide and car. Experience lifetime enjoyment at beaches of goa, water sports, old famous churches and cruise with your family friends and partner. Arrive at Delhi International airport. On arrival in Delhi, you will be meet & assist by our representative and transferred to your pre booked hotel. Overnight at delhi hotel. In the morning you will be given the city tour of Old & New Delhi. Old Delhi - Visit the former centre of Moghul Power, Old Delhi offers ancient monuments, narrow streets and bustling bazaars. Drive past the vast Red Fort, built in 1648, the Jama Mosque, the greatest mosque in India and completed in 1658 by Shah Jahan who also built the Taj Mahal, and the Raj Ghat, the simple memorial to Mahatma Gandhi. A unique experience of taking 'rickshaw ride' from the Red Fort, through "Chandni Chowk" or Silver Street, experiencing the sights and sounds of this very busy avenue heading west from the Fort. Chandni Chowk - literally means "moonlit crossroads" and an area which best represents the "super-Oriental" - the glory and the guile; the grandeur and the grime, with its crowded bazaars, twisting lanes, maze of small streets strange aromas, the pungent odour of Oriental spices, the cries of shopkeepers, coolies and "rickshaw-walas" and the clatter and whirr of furious industry. New Delhi - drive past the stately government buildings of the British Era designed by Lutyens, including the India Gate & the Presidential Palace, Lotus Temple, Birla Mandir, Akshardham Temple. Continue onto the beautiful Humayuns tomb of the Mughal era & predecessor of the world famous Taj Mahal. End the tour at the towering minaret of Qutab Minar. Overnight at the delhi hotel. Leave Delhi for Agra by air conditioned car. Agra has a rich historical background, which is amply evident from the numerous historical monuments in and around the city. Though the heritage of Agra city is linked with the Mughal dynasty, numerous other rulers also contributed to the rich past of this city. Modern Agra was founded by Sikandar Lodhi (Lodhi dynasty; Delhi Sultanate) in the 16th century. Babar (founder of the Mughal dynasty) also stayed for sometime in Agra and introduced the concept of square Persian-styled gardens here. Arrive Agra and check in at the hotel. This afternoon you will be given the city tour of Agra. Tours To Monuments Of Love Taj Mahal (Closed on Fridays)- located on the bank of Yamuna River, the most extravagant monument ever built for love. Little needs to be said about this architectural wonder which is always the soul raison-de-etre for every tourist's visit to Agra. Built by Shah Jahan, the Taj is a white marble memorial to his beautiful wife Mumtaz Mahal. This monument took 22 years to be completed and was designed and planned by Persian architect Ustad Isa. Apart from it's stunning design balance and perfect symmetry, the Taj is also noted particularly for its elegant domes, intricately carved screens and some of the best inlay work ever seen. 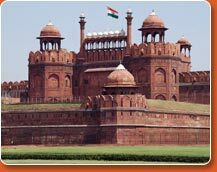 Red Fort - lies on the bend of the river Yamuna, almost in the heart of the town. Akbar built it as his citadel over the years 1563-73 in the finest architectural style. It has imposing gates and walls of red sandstone and a moat. It is also known as Agra Fort. Morning drive to Jaipur, en route visit Fatehpur Sikri. Overnight at hotel. Morning tour of the impressive Amber Fort, situated on a ridge just outside Jaipur City. Enjoy a stroll through the colourful bazaar before returning to your hotel. Overnight at hotel. Early morning transfer to airport to board flight for Udaipur. Check-in at hotel and visit some of the famous and most amazing attractions of Udaipur like - vintage car museum, boat ride at lake Pichole, light and sound show at city palace and Kala kendra ( for puppet and dance show ) . Overnight at hotel. 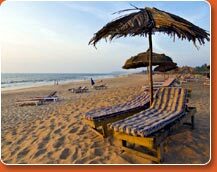 Upon arrival in Goa via Mumbai, You will be met by our representative & transferred to hotel. Afternoon at leisure for your own activities. Overnight at the hotel. Day free for own beach activities. take sun bath, water sports, dolhpin ride and cruise ride. Overnight at hotel. Transfer to airport to board flight for Mumbai. Late Evening transferred to the International airport for flight to back home. Upon arrival in Mumbai, straight proceed for sight-seeing tour of Mumbai & later in evening transfer to airport to catch flight for scheduled destinations. Copyright © Visit to India All Rights Reserved.